Bertelsmann, Inc., a German media conglomerate, together with the City of New York, hired Parter International, Inc. to help attract foreign companies to Bertelsmann’s new building on Times Square. Our idea was the development of an International Business Incubator geared specifically to attract and cater to the needs of foreign firms. While incubators have been a successful economic development tool, with over 540 located throughout North America, ours was the first devoted exclusively to attracting foreign firms. Bertelsmann, Inc. set aside the 40,000 square feet of office space in its building at 1540 Broadway, which was developed into a successful incubator. We developed the concept, prepared the marketing materials and advertisements, marketed the space, created an environment conducive to new international start-ups, and assisted the tenants with market research, government relations and personal issues relating to living in a new country. 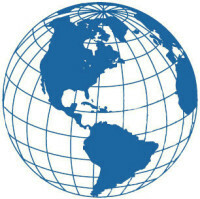 A unique commercial concierge program was developed and run by Parter International. Tenants received assistance from us in all aspects of developing their business in the US and through us obtained access to contacts that would otherwise take years to establish.